I saw a promotional video on my timeline and this PV was enough for me to put the anime series on my plan to watch list for the Fall 2017 anime season. There was something about it, I just wanted to know more. 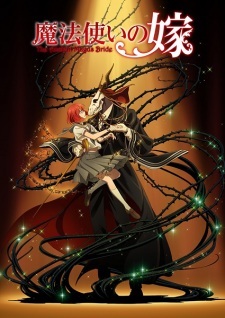 I was even more thrilled after watching the three-part OVA “The Ancient Magus’ Bride: Those Awaiting a Star” I loved the visual and the detail I was seeing, my only worried was about the studio, while the series is produced by Production I.G ( one of my favorite studio) the studio behind The Ancient Magus’ Bride is Wit Studio and I always feel like they were lacking of consistency, not putting the same amount of effort on each series they were working one, the only thing I could do is crossing finger this series will remains good/decent for the full 24 episode. Did the series left me disappointed? Certainly not. Was it super amazing, no but I did really enjoy the series and I would probably rewatch it if I didn’t already have a really long list of anime series to watch. In my opinion a flawless series doesn’t exist, no matter what there would always be something that will make tick you off and even you think your favorite series is flawless someone will see flaws in it. This being said, The Ancient Magus Bride has a lot of flaws one of them being the primary antagonist, pretty sure they could have made something better with him, something better than “I’m tired of living I just want to die so let’s mess with people live to find a way how to die”, in the end I felt some kind of sympathy for that poor guy. Him who was terrifying and intriguing when he was first introduced, turn to be more of a whiny brat in need of attention.I feel like the Ashen Eye would probably make a more interesting villain. Something else that annoyed me is the lack of information and the lack of link between the few information given. More than once Chise Hatori, the main female lead, was put into danger and each time they put in on the fact she was a “Sleigh Beggy” but I sometimes feel like it was so much more than that. 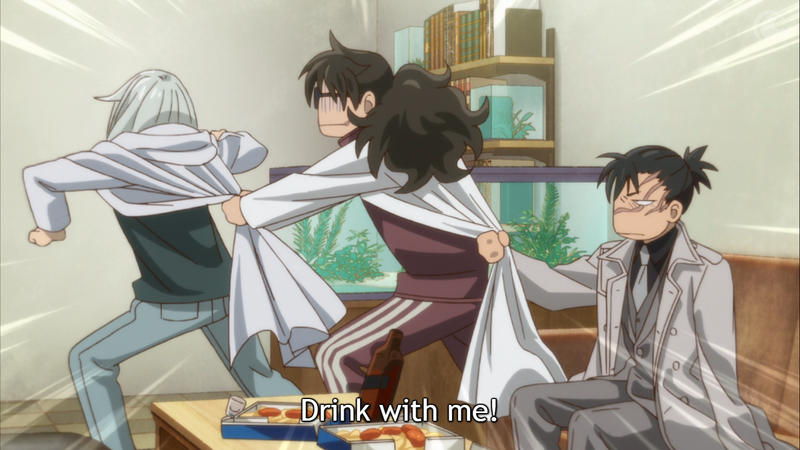 Despite the flaws, the series also have really good point, one of them is the way the well-balanced the comedic moment with the more serious one. In some scene the character where talking about serious matter, but just before it become to heavy, they switch into a “chibi-esque” from to light it up a little. Mix this beautiful world with a wonderful OST and you have the perfect cocktail to grab my attention until the end of the series, I have to be honest, if they were to make a series on Lindel alone, I would probably watching hoping to hear him sing. A lot of thing have been said on the series, no everyone liked it and some got traumatized by some episode, yes there was episode that were hard to watch but on 24 episode it’s maybe two or three (for some those two or three are already too much I know), put those episode aside and you have an enjoyable anime series. 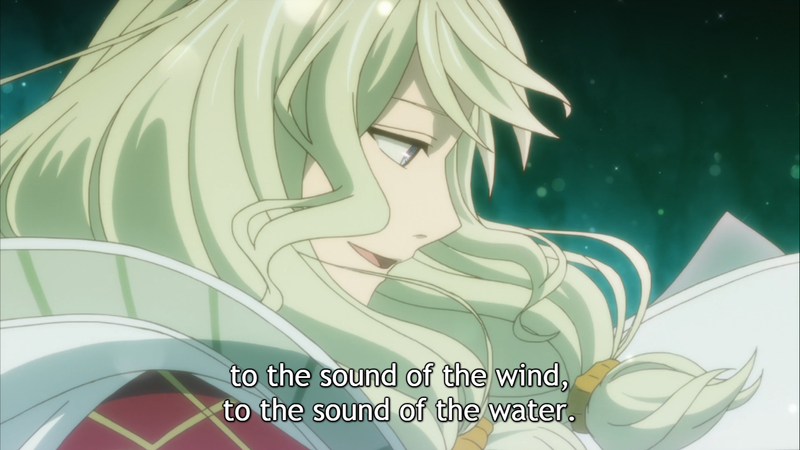 I was certainly not disappointed by The Ancient Magus’s Bride, I enjoyed it enough to eventually rewatch it and even recommend it, but don’t expect to much from it, while I enjoy the world in which the character were living, it could have been built a little bit more. I know the manga series is not complete yet and with the way the series end, I hope we will eventually have a new season, meanwhile I will probably pick up the manga, start from the beginning cause apparently some stuff were left aside (nothing new here). Have you watch the anime series? Share you thought about it in the comment section below. I agree with a lot of the things you wrote Mel. It is enjoyable, there were some flaws to it. I think a lot of the momentum was lost, when the 2nd cour stopped using flower language. That’s when I noticed a slow down. I have my review for the first half coming next month. It’s a visually beautiful series IMO. As you said, not perfect, but it certainly entertained. I liked it enough but found the slow pace of the plot kind of hard to take week to week. Still, it was absolutely beautiful and I think when I get around to binge watching it I’ll probably enjoy it a bit more. I just haven’t gotten to that yet. Yes it was slow paced, maybe it’s the time of show that is better to be binge watched to not lost the direction the show want to take.